The "Deutsche Tourenwagen Masters" (DTM) is a touring car championship that has been organized annually by the International Touring Car Races (Internationales Tourenwagen-Rennen e.V) and the German Motorsport Federation since the year 2000. The participating touring cars are German, like the Mercedes-Benz Class C, Audi A4 and the Opel Vectra, modified so that they can reach speeds around 300 km/h. 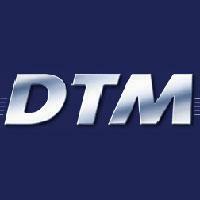 The DTM is considered to be one of the most popular international motor racing series. This classification lists the drivers of all the seasons of this competition.